On March 23, Pope Francis appointed the Spanish-born Capuchin friar, Bishop Celestino Aos Braco as apostolic administrator of the archdiocese of Santiago, Chile. On the same day, he also accepted the resignation of the much-criticized Cardinal Ricardo Ezzati. 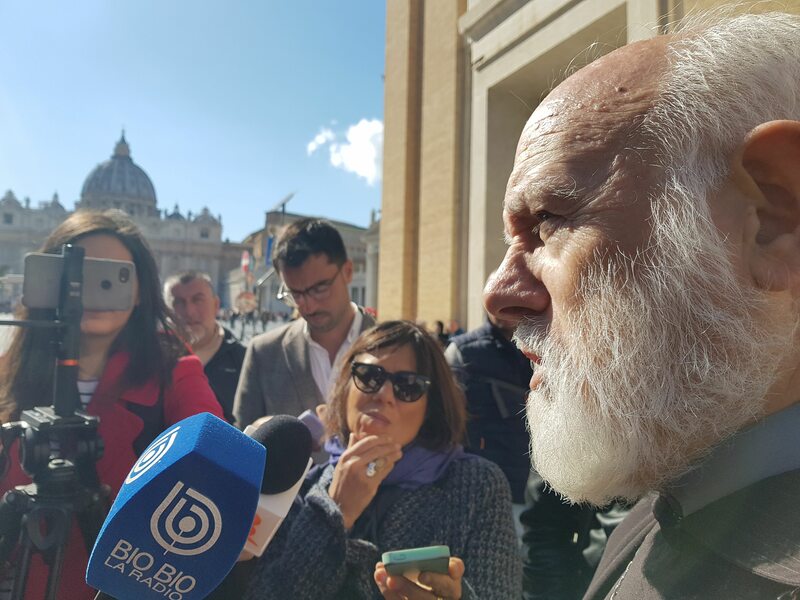 He was once again surprised on the eve of his 74th birthday when the pope appointed him as the apostolic administrator in the archdiocese of Santiago, where the two former archbishops, Javier Errázuriz Ossa and Ezzati are accused of covering up the abuse of minors by priests. According to various research studies, the Chilean church is today one of the most discredited of Latin America. At the time of the Pinochet dictatorship it was the most respected. People speak of a crisis of credibility in his diocese, but Bishop Aos suggests the reality is more complex. “I always knew that the church is a sinner too and that the priests are not superheroes or angels,” Bishop Aos said, but he had “never suspected that that these real monstrous crimes could have happened and for so long” in the church in Chile. According to various research studies, the Chilean church is today one of the most discredited of Latin America. Bishop Aos said, “As we enter Holy Week and I look at the good Jesus, I see that he was calumniated; they called him an agitator, a pervert, a blasphemer, that he had made a pact with Satan. How many things they said about him. Since taking over as administrator, Bishop Aos has impressed Chileans by his simple lifestyle and the way he reaches out to people, a manner which many see as different from his predecessors. Asked to explain this, he responded, “Each bishop has his qualities and in each historical moment society needs different styles. “I do not seek to copy the style of Cardinal Ezzati or Errazuriz, or their predecessors. I try to imitate their virtues as far as one can, but I do not have to copy anyone.” Indeed, he said, “the pastor, the bishop has to be close to the people and for that reason does the things he does, meets people who have suffered.” He revealed that on his return to Santiago he planned to meet with victims of abuse, beginning with Juan Carlos Cruz, José Andrés Murillo and James Hamilton. He believes that profound purification and reform is essential in the Chilean church today. No!!!!! I wonder when that dramatic revelation came into vision! It should also state that it continues to lose its credibility and will until those who are guilty of sexual abuse and homosexuality practice confess and step down from their ivory towers. Not to excuse pederasty, but curious isn't it that Francis aims his cannons at the most liberal economic regime in the Southern hemisphere (save Oz.)? This entire organization has lost it's credibility. Why single out any division of it? The entire Catholic Church has lost its credibility. How can it be credible when it continues to deceive people. nice, honest, quotes that give me a sense of credibility so lacking in Braco's peers. But can only hope that Braco is not overwhelmed by the "system" which has a life of its own. So let's hope and pray that he is successful. Viva la accountabilita! No. Not possible. How obtuse does a Church have to be, to think that decades of abuse can be magicked away and its vanished credibility restored ? It has shown, by tolerating this evil for so long, where its heart really is. And it thinks a few insincere and superficial apologies will make up for that ?